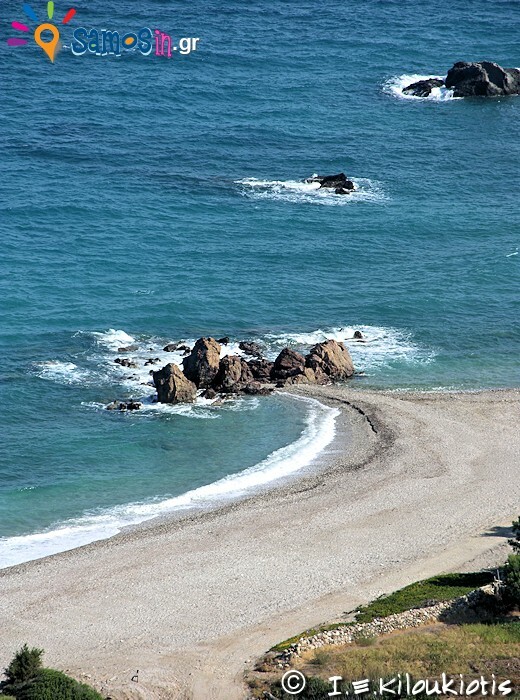 Potami Beach (Greek Ποτάμι = river). 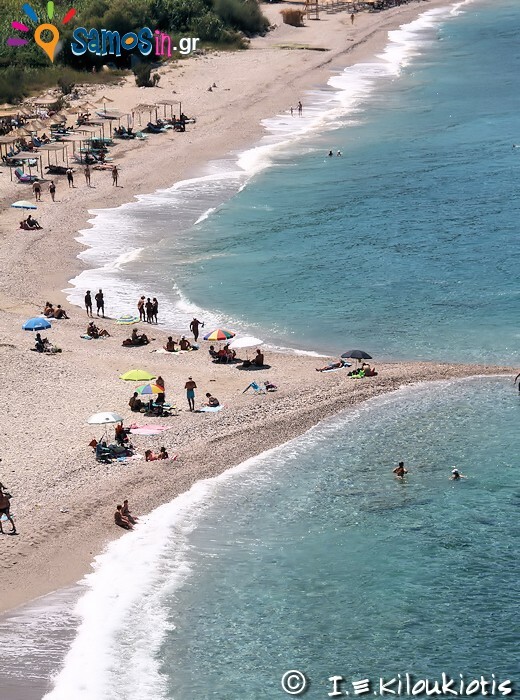 one of the most popular beaches of Samos in which frequented Locals from Karlovasi town. 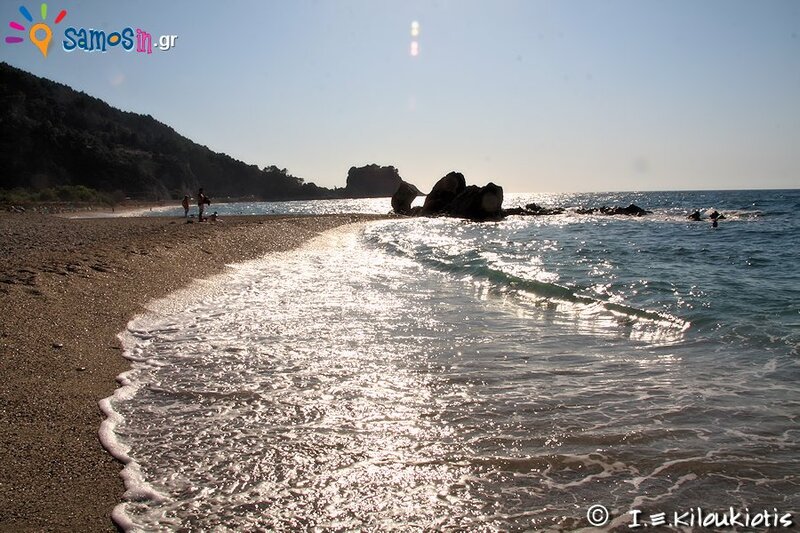 The waters are crystal clear, the scenery is very interesting and invites exploration. 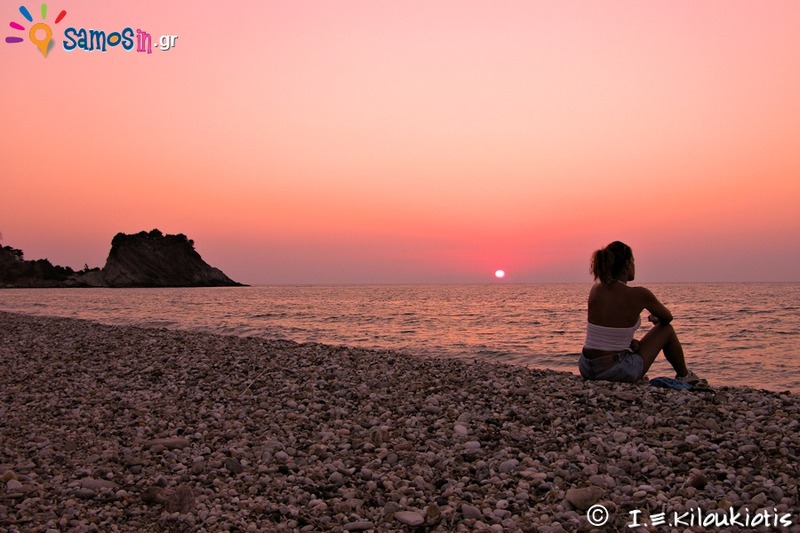 The sunset is beautiful and is worth to see. 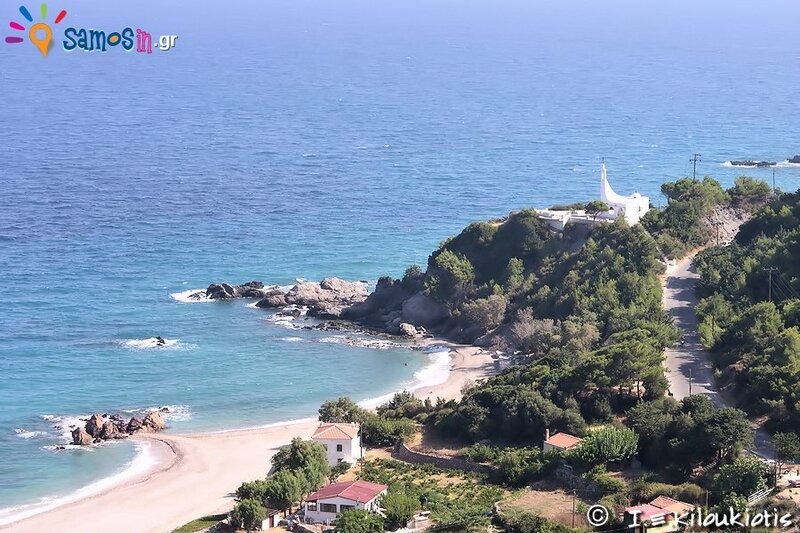 From here you can go to Micro Seitani and Megalo Seitani beaches. 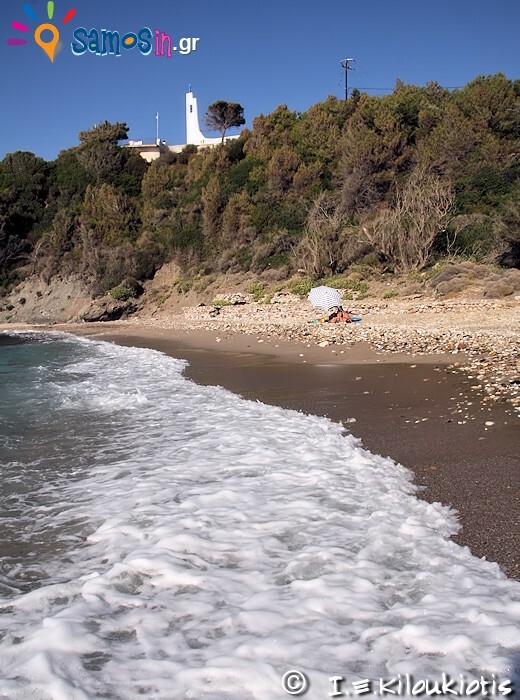 When visiting the beach, do not forget to visit the waterfalls of the river, the Genoan castle, the church of Metamorfosis the oldest on the island and the church of St. Nicholas with its unique architecture and beautiful views of the sea and the beach. 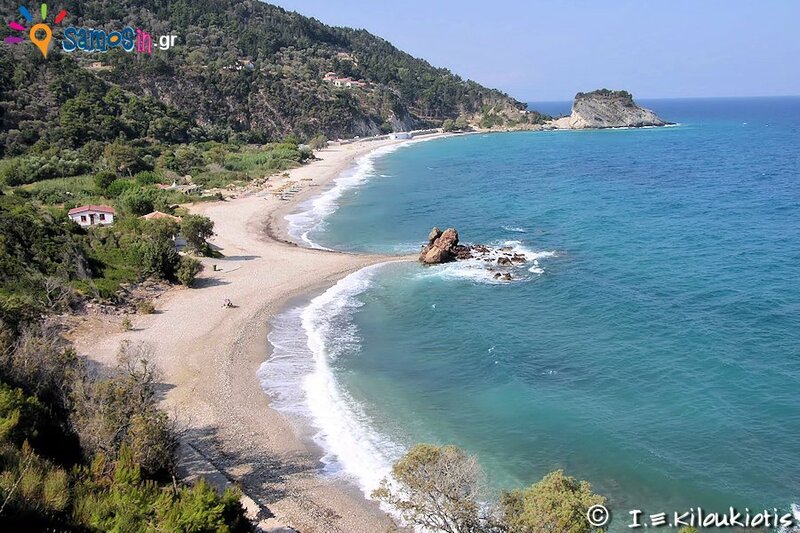 “Potami Beach” of Samos Island. The waters are crystal clear, the scenery is very interesting and invites exploration, the rocks are a lovely way to remember your childhood fun in the beach. 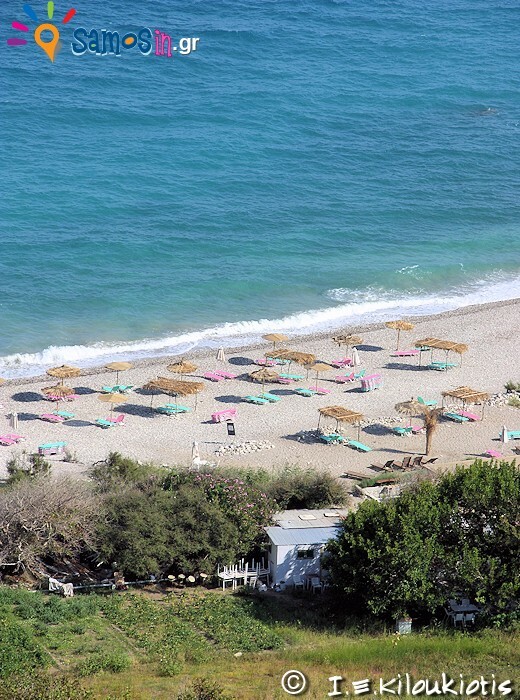 a beach frequented by the locals of Karlovassi, and around the a beach bar there are umbrellas and service on the beach. If it is too wavy it is sometimes hard to get in the sea- but SO much fun at the same time! we loved it!